They're called "Degree Mills". These are universities which have shifted their focus from education to money-making. This is having a dramatic effect on educational standards across our nation. It's now not uncommon to have students undertaking degree programs who can not spell, write an essay, or read well. It wasn't that long ago I asked a University graduate how much his degree cost. He told me that it was in the vicinity of around $30,000. I then asked him how much it would cost for him to teach what he learned to someone else. He said it would cost that person less than 1% of what he paid! The problem with some schools is that they sometimes get in the way of a good education. I gave a radio interview recently on the difference between Schooling and Education. Just because someone has gone to school, doesn't necessarily mean that they have had an education. And conversely, just because someone hasn't gone to school or college doesn't mean they haven't had an education. My hero, Rev. F.W. Boreham, had to cut his college days short by at least a year because he was asked to leave London and take up a fledgeling pastorate in the recently founded country of New Zealand. Bitterly disappointed that he couldn't complete his Theological Degree, he encountered a giant of man (who was barely five foot tall) but who totally changed the way FWB viewed education. John J. Doke was a Baptist minister who had never received a College education. Yet, F.W. Boreham describes J.J. Doke as the most learned man he had ever met. He asked the seasoned minister (who would go on to save the life of Ghandi, but that's another story) how he became so educated without the benefit of a College? 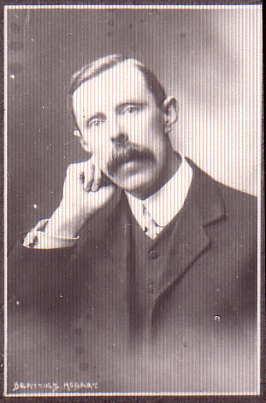 J.J. Doke gave the young Frank Boreham some stirling advice: "Read broadly." 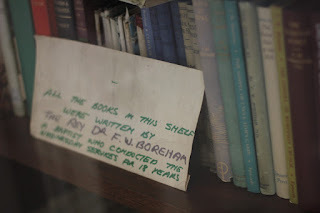 Boreham was already a good reader, but his diminutive mentor set him on a path to becoming a great reader. From that point, F.W. Boreham would go on to read at least one book a week. This cost him a small fortune. But the results were breath-taking. He would go on to write some 58 books, 3,000 plus published essays and achieve book sales in the millions. His informal learning was awarded a Doctor of Divinity Degree by McMaster University (Canada) in 1928 (some 35 years after his College studies were cut short). F.W. 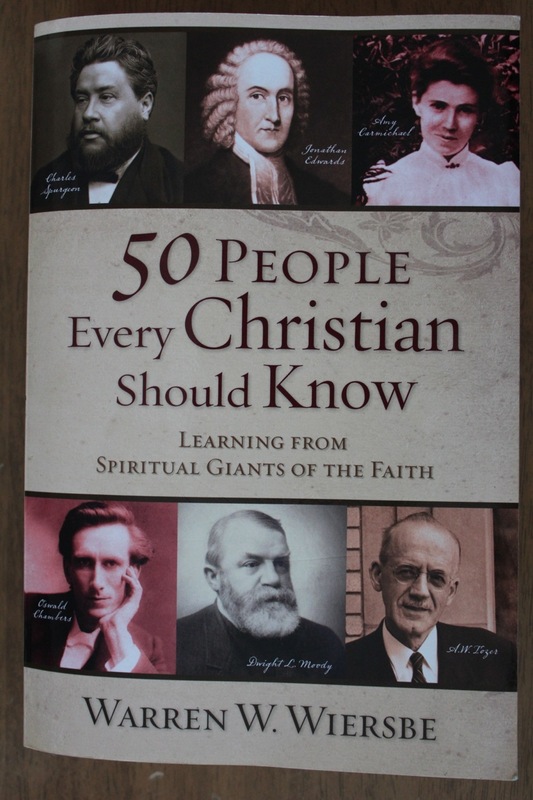 Boreham discovered that schooling was different from education, he went on to become one of the greatest preachers of all time - being listed in The Banner of Truth Trust's, 20 Greatest Preachers Of All Time) and Warren Wiersbe's, 50 People Every Christian Should Know. This is one of the reasons why I am proud to be associated with ICI College Australia. And perhaps, in the not too distant future, one of the next people to be recognised as one of the greatest preachers of all time will be educated as an ICI College Australia graduate. There are some arguments worth having for their outcomes may determine a travesty or a triumph of justice. An argument is essentially presenting a case for something. To do this requires the precise use of language. For justice and civility to uphold the notion that underpins Western Society- that all men are created equal - requires that words ensuring this are understood. The keen observer will notice that in my first four sentences I have used several words which resonate with us all. Justice. Civility. Equality. But what if someone started to use these precise and precious words to mean exactly opposite what they are intended to convey? And what if pointing this out raised the ire of these redefiners so that it induced a barrage of ironic accusations such as: discriminatory, bigot, biased! The great preacher, Dr. F.W. Boreham understood that the use of words was a matter of life or death. He felt he had a lot to learn from barristers as they argued their cases for those accused of murder and the like. 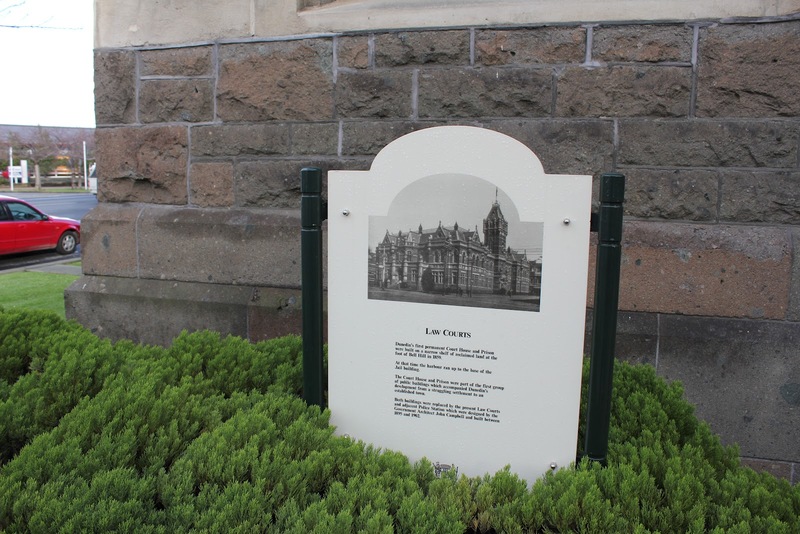 During the early days of his first pastorate, he spent a deal of time in the Dunedin Law Courts studying the ways of the best lawyers as they fought to save the lives of their clients. 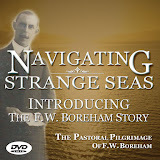 Boreham spent the rest of his life working hard to use the right word in a sermon or essay. 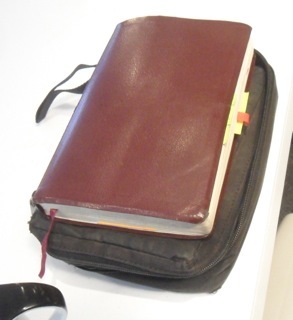 He would write, re-write, and re-write again to find the precise word to convey what he was intending. In a culture that has successfully smuggled in alien meanings to words like discriminate, equality, tolerate, it has become very difficult to even discuss these things anymore. It wasn't that long ago that if someone called you discriminating they were actually complimenting you on your fine taste. It was a statement of a person's ability to distinguish between things that were often subtlety different. It never condoned unfair discrimination - but it wasn't so daft as to consider things that were equal in one way as being equal in every way. And while we've introduced equality we should proceed to perhaps the more formal introductions and re-acquaint ourselves with this divinely endowed word. To equal in worth does not mean to be equal in kind (and vice-versa). The relationship between a man and his daughter is a kind of relationship. The relationship between the same man and his wife is a different kind. Are these relationships equal? It should be immediately apparent that because these relationships are of a different kind that the question of their equality does not apply. Of course, the discerning reader will also notice that I have employed two of the words already in question to make this point. When I say they "are of a different kind" I am actually having to logically discriminate to even use the word different. This is why those who are hi-jacking our language are so militant in their efforts to refuse either discriminate or equality to mean what they actually mean because if they do then their justification for calling what is vastly different as unfair discrimination is without basis, and their shrillness over calling relationships (which were never designed to be sexualised) as being equal to any other relationship is similarly without foundation. That words have precise intended meanings which become the jewels in the crown of truth seems to be an intolerable idea. If something is precise it cannot tolerate its misrepresentation. Yet, it is this absolutely necessary definition of truth is now being ridiculed as intolerant. What is bewildering is just how intolerant those are who claim that others are being intolerant. If someone expressed the truth that certain body parts are designed and created for the purpose of reproduction and other body parts are designed and created for the evacuation of human waste, they are accused of being "intolerant". C.S. Lewis made this obvious point over five decades ago in his book The Abolition of Man when he set up a proponent of this idea arguing that there was no need to distinguish between the two things that could come out of a chicken's rear end. Lewis showed the nonsense of this kind of reasoning. And to claim that by distinguishing between kinds, a person is somehow being unfairly intolerant is also a nonsense. If we accept this nonsense that all forms of intolerance are bad, we should immediately close down every prison and apologise to every incarcerated prisoner - because we do not tolerate uncivil behaviour as a society! Certain truths, certain principles, certain standards "so inflexible" that apply in every world and in every age...now there's words which will cause an argument today. But maybe it's an argument worth having because it just might be about the travesty or triumph of justice and ultimately, eternally, life and death. I seem to recall that there was some kind of arguing over words from the beginning of time ("Has God said...?!") which has stained every human heart with a natural objection to the One whose words are True but which now seem objectionable to us. Coincidentally, this arguing over words at the beginning came immediately after the Designer established the definition of a word we seem to have a cohort of divinophobes arguing over today. What is at stake is thought to be the mere definition of a word, when in fact, what is at stake is the Designer's very claim to be. Patient people sometimes irritate us. In the midst of shared turmoil they remain unruffled. Even though others let them down, they still manage to keep going and get things done with those people. And when small-minded people mock them with backhanded sarcassism, they keep smiling and speak well of their detractors. No wonder they irritate us! But yet we admire patient people at the same time. Although we don't admit it, we'd all like to be more patient and not let the things of day-to-day life annoy us so much. And like most things we would all really like, we'd rather have the virtue of patience now, than have to wait for it. It's a noble virtue. It is closely associated with true spirituality and genuine devotion to Christ (Rom. 8:25; 2Cor. 6:6; Eph. 4:2). When the Apostle prayed for the Colossians he prayed that they might enjoy and exhibit God's best gifts: joy, strength, endurance, might, and patience. It seems that any believer who is in a hurry to be done with prayer, Bible reading, fellowship, worship, or instruction, may be revealing their true spiritual condition as rather pitiful. But the believer who will pray through the night, study the Scriptures for an evening each week with others, sit at the bedside of a dying friend into the wee hours, or continue to be friends with the one they have witnessed to for years without so much as a hint of interest shown by them in the precious Gospel, is demonstrating, by their patience, a deep work of the Spirit in their lives. When the great Apostle wanted to boast a little of what God had done in him, he listed patience among with faith and love as one of the hallmarks of Christ's transformation of his soul. In a world gone blurry, Paul's injunction to us to be patient sounds like it belongs to a bygone era. We live in a world where instant is worshiped. Coffee drinkers will understand me when I say this, some things are worth waiting for. When we meet together on a Sunday we could sing one or two songs, take up the offering, and hear a 15 minute sermonette and be done with in under an hour. This would say a lot about the soul of our congregation. I spoke with a pastor from Hobart not that long ago who said that he had people walk out of church if he preached for more than 20 minutes! Their entire worship service now goes for under an hour. This means that the pastor has his congregation for 0.05% of the week to counteract what is for many of his congregation a week where 99.95% of it was either non-Christian or downright anti-Christian. 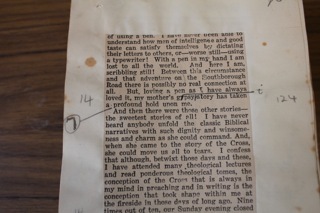 Not surprisingly, he also lamented the parlour state of his congregation's spiritual life - questioning whether most of them were even saved or not! In Africa, they worship together patiently. it's not uncommon for church services to go for 4 hours! Their patiencet also might say something about their spiritual hunger if not the depth of these brothers and sisters. Of course we are not saying that in order to produce spiritual depth we must have protracted church services. Rather, it seems that patience, not the length of our church services, might be the measure of what's in our heart. If we happened to be First Century Christians, we would have become accustomed to our weekly church services meeting around an evening meal and the prayer, sharing, worshiping, and teaching going on into the night (hover your mouse over this reference to see an example of this from the New Testament Acts 20:7). It appears that these first Christians not only regarded their praying, singing, and study of the Word together as worship, but that their physical presence together with other believers for this purpose as worship as well. In other words, their patience became an act of worship. Instant coffee. Drive-through fast-food. Microwaved 2-minute noodles. Sermonettes. Sound-bites. 20-20 cricket. SMS ... Anyone notice a trend? It seems that we are prizing "instant" and and despising patience. But if there's any doubt about this, consider what Credit Cards have done to the quaint virtue of days gone by: delayed gratification. If personal debt is a measure of Australia's patience, Australians are now the most impatient people on the planet since we have the highest levels of personal debt per capita of any nation in the world! Is there a link between our national hyper-impatience and how we view church, worship, reflection, Biblical meditation, preaching, fellowship and Christian instruction? If I had the time I would explore this further, but I know you're in a hurry to finish this article, so I'll conclude with the thought that maybe as we have become culturally hyper-impatient to do the painstaking work of methodically reading God's Word prayerfully we have missed the very thing which can empower us the most to be patient Christ-like disciples?